The Elizabeth Stone Harper Gallery will host the exhibition, “The Idiosyncratic Pencil Resharpened,” from Jan. 24 to March 8. 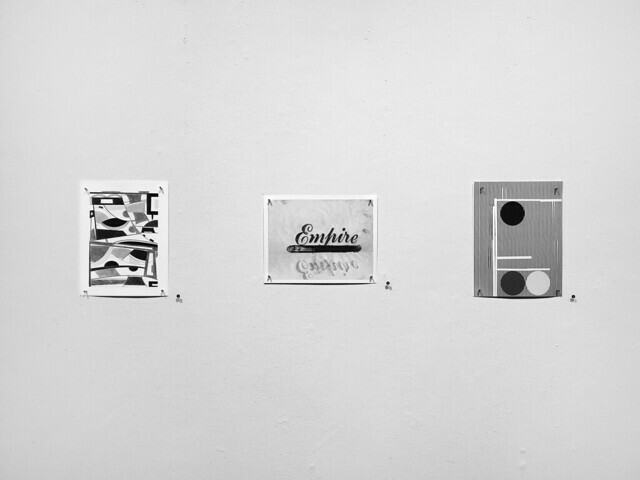 The Idiosyncratic Pencil Resharpened is an experimental, “cross platform” group exhibition consisting of original works transmitted digitally and presented as archival black and white prints. This will be the second iteration of the innovative and well-received “The Idiosyncratic Pencil” at Elizabeth Stone Harper Gallery in January/February of 2018. Inspired, variously and in part, by William Henry Fox Talbot’s prescient 1844 “The Pencil of Nature,” the Dadaists, Ray Johnson’s New York Correspondence School in the 1950s, Wallace Berman’s “Semina,” and the Fluxus movement of the 1960s—each a radical break from past methods of art production—The Idiosyncratic Pencil Resharpened is both an assessment and a dare, both a temperature reading of the moment and an invitation to entangle. The Idiosyncratic Pencil Resharpened is the contemporary artist’s response to the whirlwind evolution and mutation of image making in this topsy-turvy, post-internet, media-mad, and over-stimulated epoch. Guest curators invited to participate in the organization of this exhibition are Nicole De Armendi, Art Historian at Converse College, and Manuel Schmettau, independent curator and artist. Forty-five national and international artists are included: Ky Anderson, Rosaire Appel, Claire Helen Ashley, Emily Berger, Patrick Berran, Pascal Blanchard, Michael Brennan, Mark Brosseau, BomP, Jacob Cartwright, Holly Crawford, Brian Cypher, Dan Devening, Brian Edmonds, Russell Floersch, Lynne Ghenov, Rubens Ghenov, Michelle Grabner, Emily Hass, Jesse Hickman, Daniel Hill, Jeffrey Cortland Jones, Sylvain Levier, Stephen Maine, Lael Marshall, Creighton Michael, Aric Obrosey, John O’Connor, Paul Pagk, Gelah Penn, Gary Peterson, Mark Reynolds, Matthew Rose, Ward Schumaker, Manuel Schmettau, Suzan Shutan, Ann Stoddard, Samantha Swann, Jeanne Tremel, Oliver Wasow, Ken Weathersby, Steve West, Wilma Vissers, and Michael Voss. The resulting images and content (open-ended and à la carte—representation, abstraction, concept, line, photograph, text, repurpose) are improvisational variants of their ongoing body of work, products of their individual processes, or a visual membrane of sorts between their artistic practice and the bewildering, uncertain world around us. The Elizabeth Stone Harper Gallery will host Vanessa German from September 6 through November 30. Admission is free and open to the public. The Harper Gallery is located in the Harper Center for the Arts on the PC campus. An exhibition of selected paintings and sculptures by American artist Vanessa German will be on display this fall in the Elizabeth Stone Harper Gallery. The exhibit called Vanessa German: ritual & resilience will appear from Sept. 6 through Nov. 30. Later in the semester, German will visit the PC campus for a talk and live performance. The event, called citizen artist: if my hands were anything other than hands, will be held Nov. 8 at 4 p.m. A reception will follow. Gallery hours are Wednesday through Saturday from Noon – 5 p.m. Admission to the gallery is free. 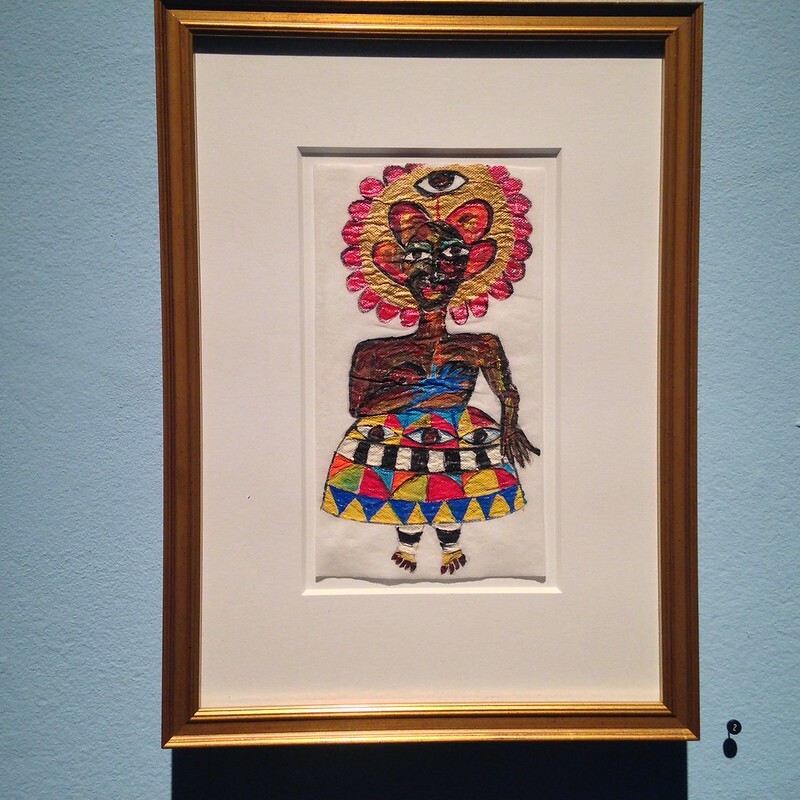 The Elizabeth Stone Harper Gallery hosted the exhibit The Idiosyncratic Pencil from January 24 to March 2. The Idiosyncratic Pencil is an experimental group exhibition. It is inspired by the 1960’s Fluxus art movement and William Henry Fox Talbot’s groundbreaking 1844 The Pencil of Nature. Both are radical breaks from past methods of art production. Today’s instruments of meaningful articulation and expression are undergoing an equally dramatic reassessment. The Idiosyncratic Pencil explores the early 21st Century artist’s response to the rapidly evolving nature of image making in this breakneck, feverish, media-saturated, and over-stimulated epoch. More than 50 national and international artists will participate in the exhibit. Their original works are contained within, or a product of, a digital image format. The images are either improvisational variants of their ongoing body of work, products of their individual processes, or a visual membrane of sorts between their artistic practice and the world around us. The exhibition works were emailed to Harper Gallery. There, they were finely printed on 11-by-8.5 inch photo quality archival inkjet paper. All works will be retained for the Elizabeth Stone Harper Gallery artist flat files unless otherwise requested by the artist. The Elizabeth Stone Harper Gallery, located in the Harper Center for the Arts, is honored to present IN HOUSE, a group exhibition curated by Michelle Grabner, guest artist, writer, and educator. IN HOUSE features works by artists Mary Ancel of New York City, Molly Barnes of Chicago, Michelle Grabner of Milwaukee, Alex Peyton-Levine of Chicago, Ann Stoddard of Spartanburg, and Kelly S. Williams of Nashville. IN HOUSE is inspired by the groundbreaking 1972 art installation and provisional performance space, Womanhouse. Organized by Judy Chicago and Miriam Schapiro and featuring their art as well as the art of their students, Womanhouse was a creation of the 1971 Feminist Art Program at the California Institute of the Arts (CalArts). The title IN HOUSE is also a playful reference to any production that happens “on-site” as well as to the relationship between art and the home, the domestic sphere. Part exhibition and part “art laboratory,” IN HOUSE is a multi-tiered installation and project: an exhibition focusing on the work of six artists, an artist residency, and open studio, and a live video stream. One artist, Alex Peyton-Levine, will use the gallery as a short-term residency and studio within the exhibition; work by the other five artists will be on view while Peyton-Levine engages a section of the gallery as a site for art-making. There will also be a video stream on display at Harper Gallery featuring Michelle Grabner’s workstation/studio in Milwaukee during her parallel artist-in-residence at the Kohler Factory “Artist and Industry Program” in Sheboygan, Wisconsin. Pàquin joined the faculty full-time in 1998 and currently serves as a professor of studio art at the College. Pàquin has also held teaching positions at Ohio State University and Furman University. A native of Newport, R.I., Pàquin has studied under craftsmen and artists in California, Nebraska, Virginia, and Rhode Island. He received a Bachelor of Fine Arts in sculpture from the University of Massachusetts at Dartmouth and a Master of Fine Arts in ceramics from Cranbrook Academy of Art in Bloomfield Hills, Michigan. Following graduate school, he shifted to large-scale artworks conceptually based upon the “human condition.” Over the year, he has held large-scale installations at a number of venues including the Greenville Museum of Art, MIT, MediaLab, and Artist’s Space Gallery in NYC. “Incisive Fantasy” is a group invitational exhibition featuring works by the artists Rosarie Appel from New York; Charles Clary from Conway, S.C.; Anne Herbert from Tuscaloosa, Ala.; Karen Seapker from Nashville, Tenn.; and Kirk Stoller from San Francisco. The exhibit features the work of five nationally recognize artists and expands on the notion of abstraction as a catalyst for idiosyncratic and unexpected visual explorations. Going beyond the time-honored traditions of formalization and reduction, these works draw the viewer into self-phantasmagorical theaters of invention and fancy. Elizabeth Stone Harper Gallery showcased the Art Department’s Annual Senior Art Exhibition including works by senior Art Majors: Shonquille Byers, Sarah Downie, Melissa Coward, Ben Roach, and Yvette Whiteman. Torres, includes works by artists from all fifty states as well as D.C. and Puerto Rico. Harper Gallery is honored to be the first venue to host Art in America on Tour. The exhibition opens with a reception for the artists on Thursday, January 21, 5:00–7:00pm. The public is invited. Exhibition dates are January 14 – February 20, 2016. PC Harper Center Gallery featured three eclectic exhibits on nature, memory, and bookmaking. A collection of handmade books by Teresa Prater, along with her collection of artist books made by fellow practitioners of the genre. Teresa Prater serves as the Charles A. Dana Professor of Studio Art in the Department of Art and Design at Converse College. Both a painter and a book artist, Prater has exhibited her work extensively across the United States. This exhibition features her unique sensibility and personal voice within the handmade book format and explores the artist book as an intimate means of expression. Prater received her BFA from the University of Tennessee and her MAT and MFA from the University of New Mexico. A three-channel video installation by Dawn Roe. Exploring the fleeting resonance of immediate experience and the notion of perception as memory, Dawn Roe’s video installation draws the viewer into a meditation upon place and time in relationship to our natural surroundings. Roe received a BFA from Marylhurst University and an MFA from Illinois State University. She divides her time between Asheville, North Carolina and Winter Park, Florida, where she serves as Associate Professor of Rollins College. A series of speculative drawings by the artist duo named BömP. The collaborative artist duo known only by the moniker BömP present new works on paper, drawing in equal measures upon whimsy, DIY semiotics, and the modality of caprice. Deceptively unstudied, these inventive visual conundrums explore both the simultaneous complexity and inanity of language and intent. BömP have individually exhibited broadly in both the United States and Europe. The exhibition opens with a reception for the artists on Thursday, September 24, 5:00–7:00pm. The public is invited. Exhibition dates are September 17 – November 24.